Lake Cle Elum Vacation Rental #11695 LakeHouseVacations.com Rent Me! Enjoy Washington’s stunning natural beauty and Suncadia’s wonderful attractions when you stay at this impressive vacation rental home that is ideally situated on the 16th hole of the Prospector Golf Course within Suncadia’s desirable “Black Nugget” neighborhood. 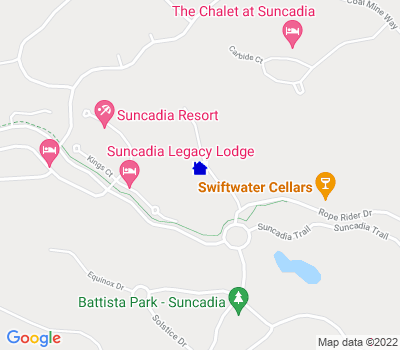 You will be an easy 5-minute walk to such local attractions as Swiftwater Cellars, Prospector Golf Course, Rope Rider Pro Shop, Battista Park/Playground and the Rope Tow Inner Tubing Hill! This spacious 4-bedroom, 3.5-bathroom residence offers enough sleeping arrangements for up to 12 guests to spread out comfortably throughout 3,300 square feet of well-appointed living space, making it a perfect accommodation choice for a large family, multiple families or a group of close friends searching for a rejuvenating escape to the mountains. As soon as you walk through the front door, this lovely residence invites you to kick off your boots, shake off your coat and make yourself comfortable. You’ll feel right at home amongst the gorgeous interior, where wide planked, hand-scraped hardwood floors, a stone gas fireplace and well thought-out decor add warmth and beauty to your surroundings. Begin leisurely vacation days by sipping your morning coffee out on the private deck, and end them soaking in the private hot tub gazing out at expansive golf course views and lush trees towering overhead. The home is equipped with everything you need for a relaxing stay, including central heating and air conditioning, wireless internet access, a gas grill and an in-unit washer and dryer. When you’re not dining at the Suncadia community’s delicious restaurants, prepare your favorite meals in the state-of-the-art gourmet kitchen, fully stocked with plenty of cookware, stemware and modern appliances. Once dinner is served, gather around the sizable dining table, with seating for 8 people, to enjoy your culinary masterpiece - additional barstool seating for 4 guests is available at the adjacent kitchen counter. Before heading to bed, spend some time in the downstairs media room, complete with a flat-screen TV, Xbox, board games for all ages and a versatile Game Table capable of foosball, air hockey, ping pong and more! Everyone in your party will love this home’s quiet location, where the bucolic scenery will make you feel like you’re a million miles away! From booking to checking out, this was an excellent experience. Marci and Alicia were quick in answering my thousand questions, helping to locate the best cabin for our needs, providing information about the stay and even sending out referrals about activities in the area. The mobile app is an excellent tool. Keeps all important details about the stay in one place accessible from your phone. And best of all it can be shared with all the parties in a group. As always, the cabin was in stellar condition when we arrived, clean, beautiful and one could never tell that there was another family staying there just a few hours prior to us... Have been booking our Winter getaways with All Seasons Vacation Rentals for the past 5 years and this will surely continue! Thank you! " Overall, this was a lovely property and we had a great stay. It was accurately described and very clean. There were some issues regarding insufficient instructions (annoying!) --TV use, DVD player, fireplace use. Also, we couldn't get the downstairs warm enough. The lower bedroom was cold all the time. Kitchen needs a couple of more mugs (not small coffee cups) and regular size wine glasses. We did call on some issues and were called back promptly. Kid's toys downstairs--get rid of anything with small parts!! They were always everywhere!!!" What a great house and great location! Loved walking to the winery and meandering through the trails. Can't wait to get back." This ia a great space for a family gathering or a friends weekend away. It is very well appointed and has everything you will need for a fun weekend. My only complaint is that the bed's ( other than the master which is fine) are very hard and need toppers or new mattresses to make them more comfortable!" Our stay was fantastic, the house was home away from home. The home was spacious and clean. It came with board games, plenty of ammnenities such as dishes, extra bed linings. The family enjoyed hot tub, televions, BBQ grill, and location. I am missing a ton of remarks. Place was great and would recommend!!" We had a large family gathering over labor day weekend at Cedar Crest Lodge. It was a wonderful home with all the amenities and so conveniently locate! We were able to walk to the winery for food and drinks and then also to the Lodge for views and some hiking. I would highly recommend it!" We were extremely happy with our stay at Cedar Crest Lodge. We loved the location near Swiftwater winery and it had all the amenities you would need for your stay. It would have been nice to have had a bedroom on the main floor, but we didn't have any problem with the stairs. Our ironing board was broken and it does have 1 hair dryer, but I had brought two just in case. I still give it 5 stars." The house and property were as described. Kevin, the manager, was fabulous! Upon arrival, well after business hours, we discovered that our tvs were not working. Not only did Kevin tolerate my "emergency" phone call, he graciously accepted it, walked through troubleshooting steps with me and followed up first thing the next morning to let me know the cable company's availability to resolve. He solved the problem by noon the next day and then checked back to make sure all was well. Thank you Kevin!!!" Me and a group of friend stayed here for a getaway weekend. This was a great house, in a great location. Very nice setup, with everything you will need. Would highly recommend." What a beautiful home! We were there with three other couples for the weekend and the layout was so great! We enjoyed the hot tub many times. Went to swiftwater after cross country skiiing. The master bedroom was luxurious and loved the bed. I think there are two suggestions. 1) it says ping pong table but there was not one and 2) some of the beds that are double should be upgraded to a queen." This was one of the best vacations we have had with our growing family with grown kids and grandkids. It is central to Suncadia resort and amenities, comfortable beds, and cosy environment. We plan to come here again repeatedly. " We were a group of 9 adults visiting Suncadia for my sister's wedding at Swift Water Cellars. It was a beautiful wedding celebration and our accommodations at Cedar Crest Lodge was very comfortable. Everything was as advertised. Kevin and Wendie were extremely responsive and professional. We will definitely be back! Thank you again, Wendie and Kevin! " Our group of 8 women thoroughly enjoyed our stay at the Cedar Crest Lodge. Plenty of room for everyone to spread out, a nicely equipped kitchen with large dining area, and a great location close to the golf practice area (which worked out great for the person in our group who was getting ready for a golf tournament the next week) and a short walk to Swiftwater Cellars which I highly recommend for dinner. Plus a hot tub AND a foosball table? This place is awesome!" Beautiful home, great location. Had an awesome time. Would definitely stat at same house again, book through All Season Vacation Rentals. " Very enjoyable. Would rent again. "Perfect House for Girls Weekend at Suncadia! This house was perfect for our mommy getaway at Suncadia! All Seasons Vacation Rentals was so accommodating offering a 2 night stay in a season where 3 nights is almost always a minimum. They went above and beyond to offer early check-in and late check-out. My only gripe and very small gripe is figuring out what to do with trash/recycle from 12 guests for 2 days with only one small trash can... yikes! We had to get creative. All around a great place to stay! Note: sofa sectionals don't pull out to beds. I think they consider the sofas an official 'bed' which they are amazingly comfortable. " The home is beautiful both in the location and the way it is furnished. The beds were comfortable in all rooms and there were towels and a well stocked kitchen. We stayed on a bit of a warm weekend so the top floor where the master and other rooms were located was a tad warm at night but not so much so that it disturbed our sleep. The hot tub has a privacy screen and was well used. The fact this is in WALKING distance to Swiftwater winery just can't be beat!"